As a means of injecting professionalism and continuity into our club's training, the West Morris Soccer Club has selected Cheshire Soccer Academy (CSA) as the sole professional training organization for all West Morris Soccer Club teams, regardless of competitive level. CSA trainers are responsible for running all practices and for all game-day coaching. In short they are our soccer professionals. CSA trainers are on the field, day in and day out, teaching our boys and girls the skills, tactics, and traditions needed to fully enjoy and respect the beautiful game of soccer. CSA utilizes professional coaching staff from the U.S., Europe, and across the world to provide a comprehensive training model that builds each player's technical and tactical soccer skill set while fostering good sportsmanship and love of the game. Simon has been coaching within the United States for the past ten years. He holds both English Football Association and NSCAA coaching licenses. 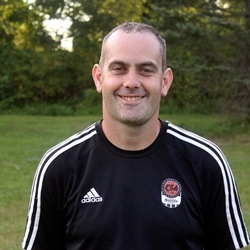 Simon has coached mostly in NJ with various age groups, ranging from u8-u18, where he has lead teams to multiple League and tournament successes. “My personal coaching philosophy is to encourage good team shape, solid possession of the ball, stong defending and fast free flowing attacking soccer when possible. Anthony has been coaching soccer in New Jersey for over the past 6 years. He holds United States Soccer Federation (USSF) coaching licenses. In 2009, Anthony received his Bachelors in Exercise Science. During that time, he obtained his American Council of Exercise (ACE) certification to become a personal trainer and group instructor. Anthony has been with CSA for over 5 years and currently holds the role of Assistant Director of Business Operations. He has had multiple league and tournaments successes with his teams. Emily started with CSA back in early 2014. Prior to CSA Emily coached a variety of teams and levels across NJ & NY. She holds a United States Soccer Federation (USSF) coaching and referee licenses. Emily started her coaching career while she was still attending Manhattan College where she coached NJ state select teams: Morris County Youth Girls Select and NJ Girls U17 ODP. Emily went on to complete her Master’s at Seton Hall and then to the assistant role at Drew University for three years. In addition to coaching Emily earned scholarships playing soccer. She was an All-American while in Morris Catholic High School and at Manhattan College, where she still holds multiple records. During her college career she was a top scorer in the nation and also named player of the decade (90’s). Emily pursued semi-pro soccer with NJ Splash and was in the fold for the US women’s national team when she tore her ACL and could no longer compete at the elite level. Joshua has been coaching within the United States for the past 7 years. He holds both USSF and NSCAA coaching licenses. 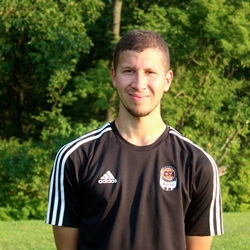 Joshua has coached in NJ with various age groups from u8 to u18 where he has lead teams to multiple League successes. “My personal coaching philosophy is to encourage kids to find a way out of a situation and to keep the ball in tight spaces when under pressure, and turning to find the quickest way to goal (quick transition from defense to attack). I train to always have my team play well defensively and have good defensive shape off the ball." "I always aim to for my training sessions to be fun with a serious touch always keeping the kids on their toes and giving them a multitude of touches on the ball. I train with a energy that keeps the kids engaged and in love with the sport of soccer." Ruairi has been coaching within the United States for the past six years. He holds both Football Association of Ireland (FAI) and United States Soccer Federation (USSF) coaching licenses. 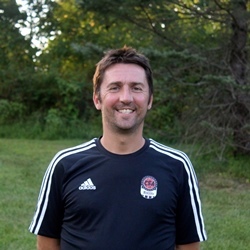 Ruairi previously worked in New England for one of the biggest youth academies in the United States where he lead teams to multiple League, State Cup and tournament successes. In 2013 Ruairi returned to college to complete his Master’s Degree in International Sports Management where he also both played and coached. He has been with CSA since August 2014 as the Director of Business Development and Head Coach. “My personal coaching philosophy is to encourage fast attacking football when in possession. Move the ball at speed, make your opponents shift position to address the threat, probe until you can isolate a player 1v1 or create an opportunity to play a penetrating pass to create a scoring opportunity. Darren has been coaching within the United States for the past thirteen years, and prior to that spent three years with Middlesbrough FCs Youth Academy in England. Darren holds Football Association of England (FA), United States Soccer Federation (USSF) and National Soccer Coaches Association of America (NSCAA) licenses. He has been with CSA since March 2009 as the Director of Business Operations and Head Coach. 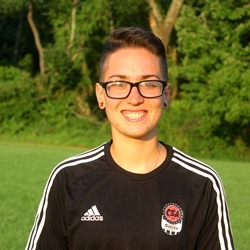 Tyler has been coaching since the age of 13, starting out as a volunteer coach for recreation in her town all the way up to coaching at Raritan Valley Community College currently. She holds a United States Soccer Federation (USSF) coaching license. Tyler has her Associates Degree in Psychology and is finishing up her Bachelor’s Degree in Sociology. She has been with CSA since April 2012 as a Trainer/Coach. “My soccer philosophy is practice, perseverance and determination will always bring success. Being able to dribble through a whole field of players doesn’t make you the best player in the world or the sport, being able to be a team player, a good team leader and to push yourself to new levels makes you the best player. 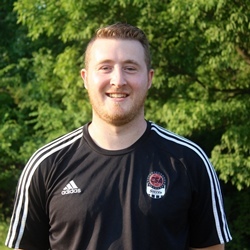 Brendan has been coaching with Cheshire Soccer Academy since 2011. During this time he has been the head trainer for the West Morris TOPSoccer program as well as a head coach. He holds a United States Soccer Federation (USSF) coaching license. Brendan attended Ramapo College of New Jersey and graduated with a B.S. in Business Administration in 2012. Brendan’s playing accomplishment’s include All-Conference, County and State honors as a Striker during his high school career at Wayne Valley, where he lead the team in goals and helped lead them to County and Conference titles. He currently plays for the Sportfriends SC Men’s Open team based in Wayne, NJ. 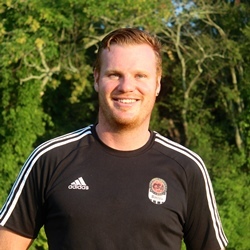 Andres has been coaching in New Jersey for the past 6 years and holds both NSCAA and NFHS coaching licenses. He has coached a variety of age groups ranging from kindergarten to high school seniors. “My personal coaching philosophy is to start with the development of the individual and then identify corresponding roles on a team that will allow a player to maximize their strengths for the overall benefit of the team. I believe passing and control of the ball is the best offense and defence. Most attacks begin from the defensive line and every player being proactively involved in both attacking and defending make for a strong and positive team. All training sessions are organized with a specific focus either correcting mistakes from the previous game or preparing for the game ahead. Above all I set out for my players to enjoy training”.